When courtroom stakes are high, a well-produced video can make the difference between success and failure. Video helps laypeople and professionals alike see through the clutter in complex legal proceedings by combining words with people and visual evidence to simplify comprehension of complex trial data. It is more dynamic and builds a stronger case for your clients. 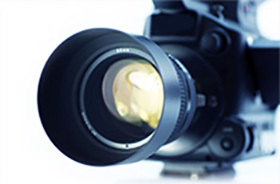 Schedule now if you require legal video services for any pending or upcoming litigation.